This is my go-to recipe whenever I have a serious pasta craving. Shredded rotisserie chicken is an easy shortcut for making this a fast weeknight recipe. I like using fresh pasta when possible, but the boxed stuff works in a pinch. There's a light lemon flavour and a bit of salt from the pancetta. 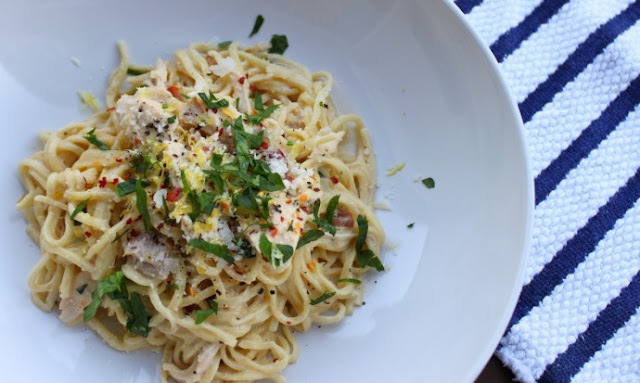 See my recipe for Spaghetti Chicken Carbonara. 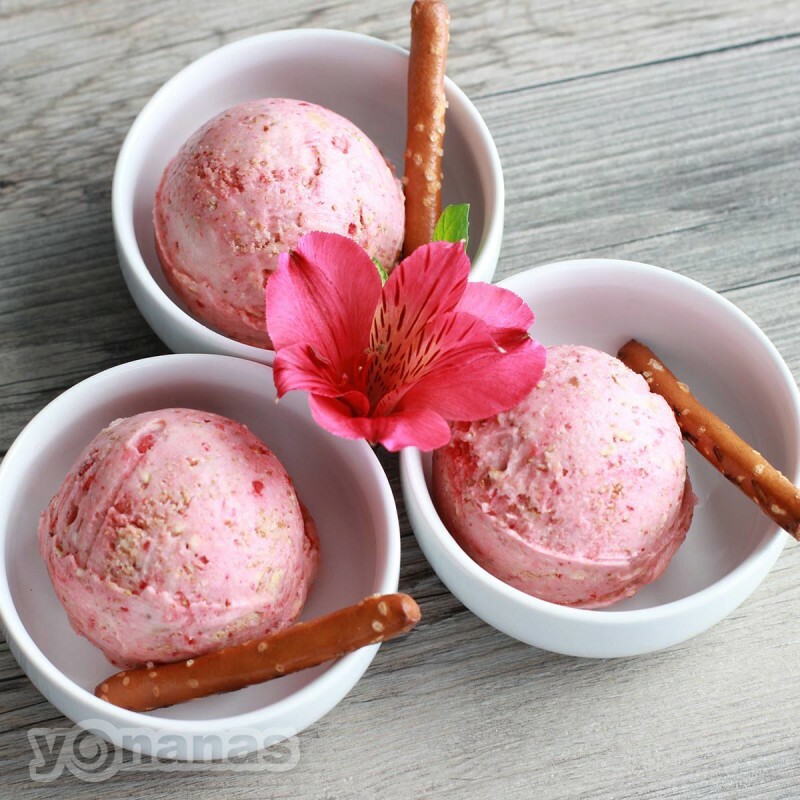 I could ice cream everyday if I could - but that's not going to work out for me, so I was thrilled to discover an ice cream you can make with a frozen bananas and a few other ingredients. I used a Yonanas machine, but you could easily use this blender or this one here to make this recipe for Banana Ice Cream. 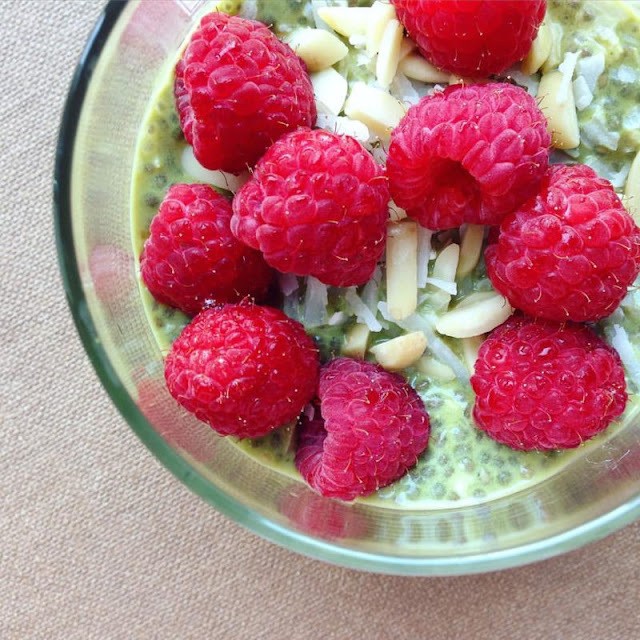 This Match Chia Seed Pudding recipe gives me a ton of energy in the morning so I can get on with my day. It's also simple to make the night before and you could easily double or triple the recipe so you have a ready made breakfast all week. 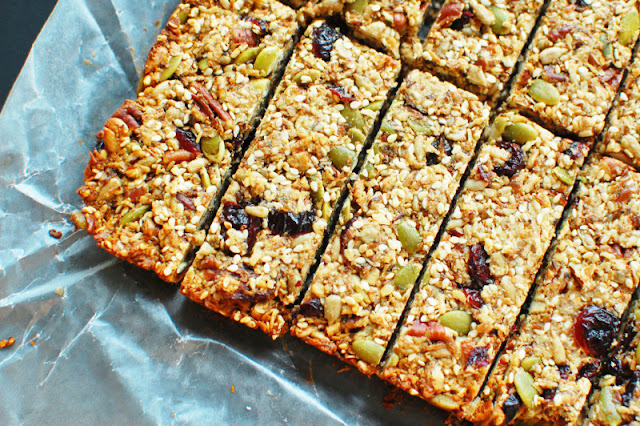 If you're buying protein bars like crazy, consider making your own! I make a big batch on a Sunday and it's easy to grab and go all throughout the week. Here's the recipe I use. Make sure to follow the recipe exactly or it will mess up how much your bar will hold together. It a nice, light breakfast. It's a hot day and you want to cool off. 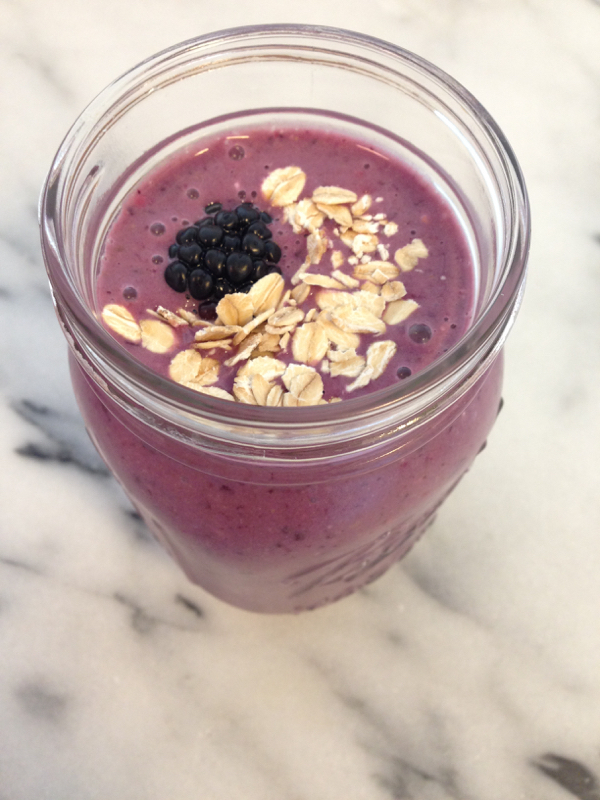 My Peanut Butter + Jelly Smoothie recipe makes a great afternoon snack or meal replacement with the addition of some of my favourite protein powder. What are your favourite things to cook in the summer?